I am beat this week. I'm not sure whether it's from the craziness of Fashion Week, or the fact that I've basically been running around for the last three weeks straight, or that I'm still getting settled in my new job. But whatever it is, I'm totally jonesing for some relaxation ... not that I'm going to get any, with my high school reunion coming up this weekend! (Where did the last 10 years go?) In any case, I've worked a bit of time into my schedule to come up with a few Lusts of the Week for you! NP Eye Set Palette ($20 at target.com): This is hands down my fave item from the new line Napoleon Perdis created for Target. The three brown hues vary from taupe to deep chocolate, and each is so wearable I'm afraid I'll exhaust my supply within a month's time! 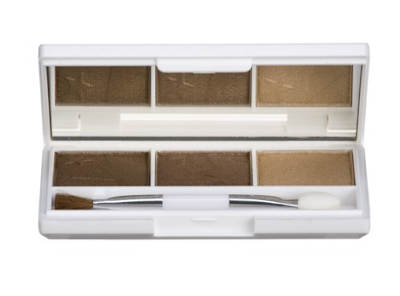 But best of all is the design of the palette. The sleek, lacquered white case opens to reveal shadows emblazoned with large stars -- which, of course, makes this so amazing I don't even want to use it. I just want to stare at it all day long in fascination! 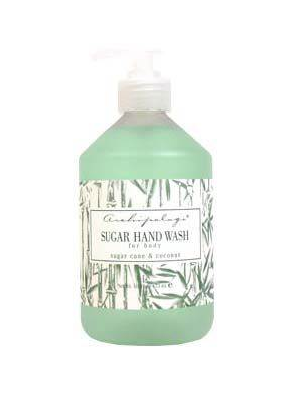 Archipelago Botanicals Sugar Cane & Coconut Hand Wash: $15 for a hand wash? Before trying this one, I would have said you were crazy had you told me to plunk down that much money. But trust me when I say that this one is worth it. It smells fantastic -- fresh and clean but not cloying in the slightest -- and it leaves hands feeling soft, smooth and refreshed. Plus, my hands have never felt so soft! I usually pump out ounce after ounce of hand wash, not caring about how much I use, but I'm totally savoring this one to the very last drop. Sally Hansen Gentle Plumping Lip Treatment in Happy: A lipgloss for under $10? You know I was all over that. And this one, with its sweet pale pink hue and subtle shimmer, sure doesn't disappoint. I love the slightly futuristic-shaped tube, and the fact that it comes with an attached side mirror. I love that the gloss doesn't make my lips hurt or burn like most other plumping ones do. I love how moisturizing it is, and that it's not at all sticky or tacky. And I love, love, love the color. It's faint, but just enough to make lips look seriously incredible. I can't wait to try to NP line from Target -- thanks for the review!